Tim Kett and Iolo Jones share equal first at Fishguard! 64 competed in this year’s Dyfed Open, held as usual at the Fishguard Bay Hotel over the weekend 24-26 February. At the EPSCA zonal round played on Saturday 25 February at QEH, Bristol, The Dell emerged victorious in both the under 11 and under 9 sections. On 22nd February, a day before his 13th birthday, Welsh Junior Chirag Guha hit a grading of 2000. The Dyfed Open scores can be found here. The Dyfed Major scores can be found here. Two squads have now been selected to represent Wales in the World Seniors Team Championship in Crete. The latest Entry List for the upcoming Dyfed Open can be downloaded here. Congratulations to Harri Gilbert, winner of the beginners rapidplay section at the West of England Championships, held on 18-19 February. Further success for Wales came from Harrison Postans, runner-up in the U12 Challengers. The Agenda and Officer’s Reports for the 2017 WCU AGM at Pencoed on Sunday 19th February can now be downloaded from here. The Annual individual junior championships for Cardiff and the Vale schoolchildren took place at Cardiff City Council Offices on 12th February. For many years the Championships have been supported by Cardiff City Council, allowing the use of the prestigious venue. 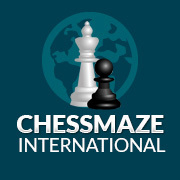 This event is now seen as one of the highlights of the chess calendar. Please note that the deadline for reduced entry fee for the 2017 Welsh Championship is 28th February. The Entry Form can now be downloaded from the Calendar page.